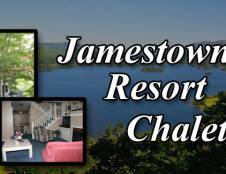 Lake Cumberland's Jamestown Resort and Marina offers luxurious and comfortable suites for the most discerning of guests. The stylish accommodations provide a spacious retreat from the adventures of the day. Lake Cumberland is great for all sorts of aquatic activities. Rent a boat for the day and explore the various inlets and don't forget to bring your fishing gear and fishing license. 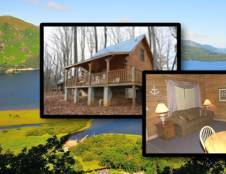 The Lodge Suites offer amazing lake views and lots of extra amenities for your enjoyment. 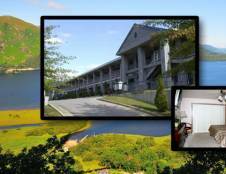 For those who desire luxury and seclusion during their Lake Cumberland vacation, the Chalet Condominiums offer just that. These Cape Cod styled chalets are situated on a wooded bluff overlooking the lake. 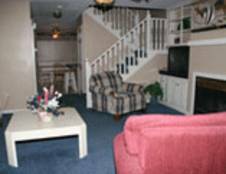 The privacy and amenities offer the comforts of home during your vacation to Lake Cumberland. Enjoy both the sunrise and sunset from your private porch with panoramic views of Lake Cumberland and the surrounding hills. 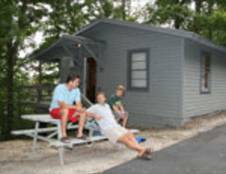 The Cabins at the Jamestown Marina & Resort are a blast from the past. These cozy rustic cabins were originally fishing cabins from the early days of the area. 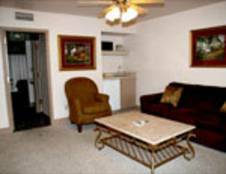 They come at a great bargain and offer all the amenities that visitors truly need. They offer seclusion and privacy and are close to the water. Walk down to Lake Cumberland and rent a boat or explore the shores. 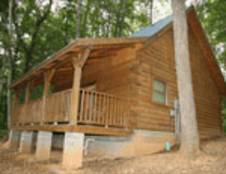 These cabins will be a welcomed comfort at the end of the day.